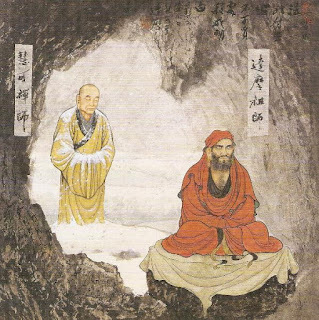 Bodhidharma was the first Ch'an/Zen patriarch to ever step foot in China. He had given a wonderful discourse on anatta. The ultimate principle is without words; one needs to borrow words to make this principle apparent. The great Dao is without equivalent; [yet] to touch the uncultivated it reveals shapes. Let us now for expedience sake posit two persons holding a discussion on the subject of no-mind. The student asks the Reverend, "[Do you] have a mind or not?" "Since you say that you have no mind: who then has the ability to see, hear, feel, and know? Who knows that there is no mind?" "Just no-mind is seeing, hearing, feeling, and knowing. And it is no-mind that has the ability to be aware of the absence of mind." "If one accepts that there is no mind, it must follow that there is no seeing, hearing, feeling, and knowing. Say: how can there be any seeing, hearing, feeling, and knowing [without mind]?" "Though I have no mind, I can ver well [1269b] see and hear and feel and know." "Just the fact that you see, hear, feel, and know proves that you have mind! How can you deny this?" "This very seeing, hearing, feeling, and knowing is no-mind! Where could there be another no-mind apart from seeing, hearing, feeling, and knowing? Now I am afraid that you do not understand; so let me explain this to you step by step in order to let you realize the truth. Take seeing: [I] see throughout the day - but since it is seeing without seeing, it is without mind. Or take hearing: [I] hear all day long - but as it is hearing without hearing, it is without mind. Or feeling: [I] feel all day long - but as it is feeling without feeling, it is without mind. Or knowing: [I] know all day long - but as it is knowing without knowing, it too is without mind. Engaged in actions day in and day out, [I] do without doing - which is nothing other than no-mind. Therefore it is said: Seeing, hearing, feeling, and knowing are all no-mind." "But how could one [even] gain the ability to know that it is no-mind [that sees, hears, feels, and knows]?" "Just try to find out in every detail: What appearance does mind have? And if it can be apprehended: is [what is apprehended] mind or not? Is [mind] inside or outside, or somewhere in between? As long as one looks for mind in these three locations, one's search will end in failure. Indeed, searching it anywhere will end in failure. That's exactly why it is known as no-mind." "Reverend, since you have said that all is no-mind, neither evil nor meritorious deeds ought to exist. So why are people transmigrating in the six spheres of existence, ceaselessly embroiled in life-and-death?" "In their confusion, people for no reason conceive an [an entity called] 'mind' within no-mind. Deludedly clinging to [mind's] existence, they perform action upon action, which in turn makes them transmigrate in the six realms and live-and-die without respite. It is as if someone would in the dark mistake a contraption for a ghost or [a rope] for a snake and be gripped by terror. That's just what people's deluded clinging [to a mind] is like. In the midst of no-mind they deludedly cling to a 'mind' and perform action upon action - yet this results in nothing but transmigration through the six realms. If such people come across a great teacher who instructs them in seated meditation, they will awaken to no-mind, and all karmic hindrances will be thoroughly wiped out and [the chain of] life-and-death cut through. Just as all darkness disappears with a single ray of sunlight that penetrates it, awakening to no-mind wipes out all evil karma." "I am dull, and my mind is still not quite made up. But observing the one who is everywhere making use of the six sense organs, responding to questions, speaking, and performing all kinds of action - and [the existence of] delusion and wisdom, or life-and-death and nirvana, [I wonder if all of this] really is nothing but no-mind?" "Indeed it is! Just because people deludedly cling to having mind, they have all their illusions and life-and-death as well as supreme wisdom (bodhi) and total release (nirvana). If they awaken to no-mind, then there are neither illusions nor life-and-death and nirvana. Thus the Tathagata said to those who [think that they] have mind that there is life-and-death. Bodhi is so named as a counterpiece to illusion, and nirvana as a counterpiece to [1269c] life-and-death; all of these [concepts are but contermeasures. If no-mind obtains, both illusion and bodhi are nowhere to be found; and the same is true for life-and-death and nirvana." "[You state that] bodhi and nirvana are nowhere to be found - but one can say that all the buddhas of the past have attained bodhi, can one not?" "Only in terms of the phraseology of conventional truth, but not from the point of view of genuine truth. Hence the Vimalakirti sutra's statement: 'Bodhi can neither be attained by a body nor by a mind.' Again, the Diamond sutra says: 'There is not the slightest object to be attained; the buddhas and the Tathagata simply attained through the unattainable.' Which goes to show that with mind everything arises, while with no-mind there is nothing at all." "You have already said, Reverend, that everything everywhere is no-mind; so trees and rocks are also no-mind. But [no-mind] is not the same as trees and rocks, is it?" "Our mindless mind is not identical with trees or rocks. Why? It may be compare to a celestial drum which, though just lying there without mind, by itself emits various wondrous teachings, thus guiding the people. Again, it is like the wish-fulfilling gem that, though also without mind, is by nature able to produce a variety of different apparitions. Our no-mind is just like that: though without mind, it is very well able to thoroughly perceive the true form of everything. Equipped with true wisdom (prajna), its threefold body enjoys utter freedom, and its activity is without constraint. Therefore the Ratnakuta sutra says: 'Without any mental intention, it is manifestly active' How would thus [no-mind] be identical to trees and rocks? Indeed, no-mind is nothing other than true mind. And true mind is nothing other than no-mind." "At present, I am involved in [dualistic] mind; so how should I practice?" "Just be totally aware in all affairs! No-mind is nothing other than practice; there is no other practice. Thus you'll realize that no-mind is everything, and that extinction (nirvana) is nothing other than no-mind." At this, the disciple all at once greatly awakened and realized for the first time that there is no thing apart from mind, and no mind apart from things. All of his actions became utterly free. Having broken through the net of all doubt, he was freed of all obstruction. It has no color or form. Listening to it, it has no sound. Appearing bright, it is not bright. Attempt to grasp it, and it does not arise. Yet in the minute it does not obstruct a hair. In the serenity of nirvana it is not pure. Yet able to distinguish between sentient and not sentient. When dispersing, it is common to all people. Genuine awakening that cuts off the path of practice. Though present, its becoming is unseen. Its myriad appearances silent and marked by no name. All of this is the essence of no-mind. The Reverend then told him: "Among all forms of wisdom, I regard the wisdom of no-mind as the highest. Thus the Vimalakirti sutra says: "Neither having a conscious mind nor mental impressions and processes, he sees through the ignorant and submits those of different creed." Again, the Sutra of the Great Dharma Drum states, "If you know that there is no mind that can be attained, no objects whatsoever are grasped; neither are sincs and meritorious activities, nor life-and-death and nirvana. Indeed, nothing at all can be grasped - not-grasping included!" But now that I am awakened, there's no mind, that's all! Its perception and activity ever calm, it is pure suchness. No perception, no activity: that's wuwei. Different from that of bodhisattvas and pratyeka buddhas. What is called no-mind is nothing other than a mind free from deluded thought. [The questioner] continued asking: "What is 'taishang,' the supreme? "Tai signifies 'great,' and shang 'lofty.' It is called 'supreme' because it is the highest wondrous principle. Tai also signifies the primordial stage. Though there are longlived ones of Yankang in the heavens of the three realms, their luck runs out, which is why they end up again transmigrating in the six spheres of existence. That 'ultimate' (tai) is not yet sufficient. And the bodhisattvas of the ten stages, though having escaped life-and-death, have not yet plumbed the depths of this wondrous principle. Their ultimate is also not yet [the one I am talking about]. Cultivation of mind in the ten stages gets rid of being in order to enter nonbeing; this is again not yet the ultimate since it does not get rid of both being and nonbeing and sticks to a middle path. But even if one has thoroughly discarded that middle path and the three locations [of inside, outside, and in between], and any place is that of wondrous awakening - and even if a bodhisattva gets rid of these three locations - one remains unable to free oneself of the wondrous. This again is not yet the ultimate. Now if one discards the wondrous, then even the very essence of the Buddha Way has no place to abide; since no though is left, no discriminative thinking takes place. Both the deluded mind and wisdom have forever expired, and perceptions and reflections are at an end - calm and without ado. 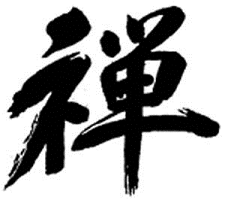 This is called tai; it means the ultimate of the principle. And shang means 'without peer.' Hence it is called taishang, the ultimate. This is simply another designation for Buddha, the Tathagata." [End of] Treatise on No-Mind in one fascicle. Bodhidharma is talking about Stage 5 here. Again : Do you comprehend how many lifetimes upon lifetimes( Or how hard) it took for realization to occur? DO YOU ? Bahiya attained arhantship right on the spot the first time he met Buddha, upon hearing a single verse from Buddha. When conditions are ripe, conditions are ripe. I took much longer than Bahiya -- I knew Thusness in 2004 and only realised anatta 6 years later. I already had conceptual understanding of anatta and emptiness in 2006. I can assure you my realizations are non-conceptual and direct. I also know of many who got it even faster than me. In Mahasatipatthana sutta, the Buddha assured that by practicing according to his four foundations of mindfulness, one will attain either anagami or arahantship as quickly as 7 days and no more than 7 years. The problem is who is truly following his instructions and practicing seriously? Don't believe those teachers that say you have to practice 20, 30 years, or take many lifetimes. They either don't know what they're talking about, have no skill to guide students, or are being very dogmatic, and frankly is going against what Buddha said in Mahasatipatthana Sutta. "By caging the path into certain fixed stages, more disservice than benefits had been done ,imvho...."
Well, I completely disagree with this. The world lacks a very clear spiritual map. Without a map, we are just talking past each other, you are talking about A when I am talking about B. Just confusion all around. This blog, me and Thusness, have helped 25+ people reach realization of anatta/emptiness. The results speak for itself -- there is clarity in what we say. That statement is usually interpreted in terms of nihilism to mean 'no need for path, or practice'. Such a person falls into nihilism and there is no progress in practice and realization for such a person.